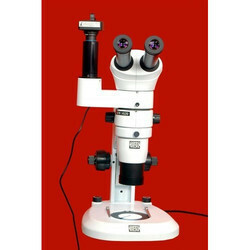 Offering you a complete choice of products which include stereozoom microscope szm 850, stereo zoom microscope szm 6745 with camera, stereo zoom microscope, stereo zoom microscope szm 6745, stereo zoom microscope szm 460 and stereo zoom microscope szm 1020. 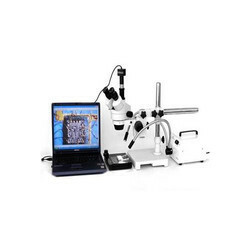 This perfect microscope was developed specially to meet the needs of customers who demand more advanced features and higher performance at lower prices. The Airtight, Anti-mold and Anti-electrostatic ensures peace of mind under any operating environment. The ZOOM645 with 0.8x~5x zoom magnification, inclination angles of 45 Degree respectively. It can be with 0.5x and 2x auxilary lens. Long working distance, clear resolved image, enclosure integrated. 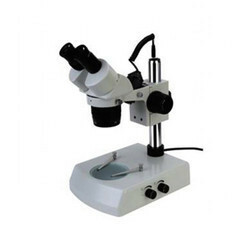 It is used extensively world medical research and health care, biology ,botany research and agriculture, as well as in electronic component manufacturing. It is specially suited for LED, PCB inspection, pressing plating and electronic component inspection. The SZM6445 with 0.7x~4.5x zoom magnification, inclination angles of 45 Degree respectively. Choose between the two models: the SZM 460 with 0.7X~3.0X zoom magnigication or SZM 460N with 1X~4.5X zoom magnification, inclination angles of 60 Degree respectively. 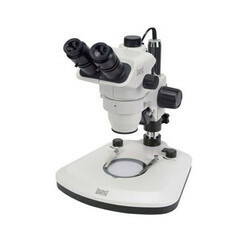 With the option LED stand, these microscopes let you observe a wide range of specimens, from Petri dishes to plants, insects, small animals and minerals. The advance HI ZOOM 1020 incorporates a powerful combination of advanced optical and ergonomic capabiliy. With high NA objectives the HI ZOOM 1020 can handle some of the same advanced image techniques that compound instrument users have long enjoyed. The HI ZOOM 1020 with 0.8X~8X zoom magnification, inclination angles of 20 Degree respectively. It can be with 1X Plan achromatic auxilary lens and 0.5X achromatic auxilary lens. With the good quality parallet optical system. 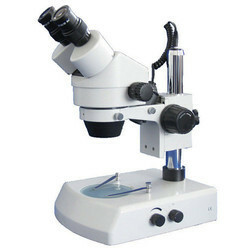 It is inclined at 45 Degree, six magnification combinations, 1X, 2X,3X, can be choosed with two objectives.. The standard working distance of 76mm is sufficient for majority of applications without the need for addition of auxiliary objectives. With a variety of accessories available, the SD 100 can adapt to most requirements without the need for factory or third-party modifications. 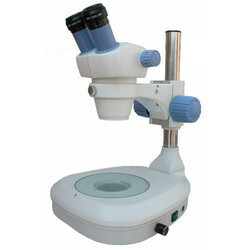 Eyepiece wide field , high-point eyepiece , it can observe image of observation specimen with glasses. Working distance 100mm, special maximum working distance can provide more working space for you. 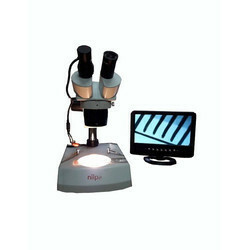 The new trinocular stereo-zoom-microscopy head is the core of the Wiloskop system. A number ofapplication-specific stands, illumination systemsand documentation devices provide the proper system combination for a large variety of applications. 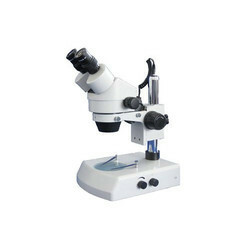 Looking for Stereo Zoom Microscope ?